Cordyline are common decorative plants that appear under a few names in garden centers. In fact, the whole thing can get rather confusing. 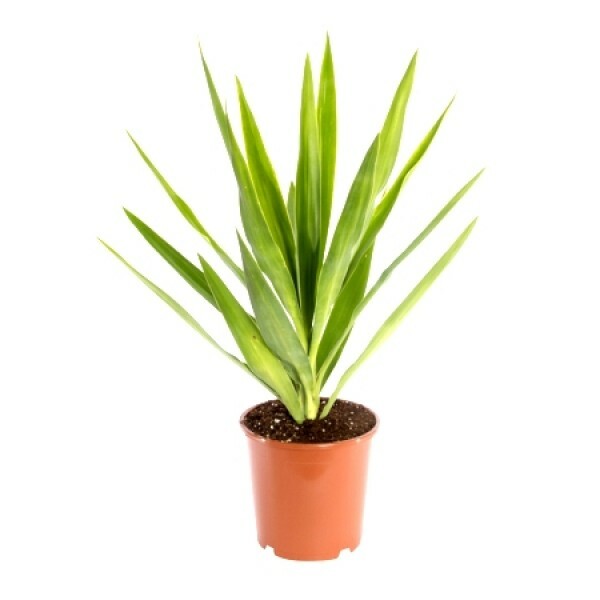 The most popular indoor cordyline is the C. terminalis, which is often sold as C. fruticosa or Dracaena terminalis. Likewise, these plants are often referred to as "Ti plants" or "Hawaiian Ti trees." However, Dracaena fragrans, with its bright green leaves, are also sold as Ti plants, and in fact, cordyline and dracaena are both members of the agave family. The best way to tell the difference is look at the roots: cordyline roots are white, and dracaena roots are yellow or orange. Light: Bright light, but avoid direct sunlight in unhabituated plants. Water: Keep soil continuously moist, but reduce watering in the winter. High humidity is preferred. Temperature: Above 62ºF is preferred. Avoid cold drafts if temperature drops lower. By cuttings, which can be placed horizontally in the soil to sprout. Also by air layering. Repot in spring or every other spring as needed. C. australis. Resembles yucca plant, with narrow, long and grayish to dark leaves. C. terminalis. A gaudy, show plant with nearly infinite varieties. Leaves are wide (3") and thin and come in green, red, black, yellow, orange and mixed colors. Varieties include C. terminalis 'tricolor', C. terminalis 'Rededge', C. terminalis 'Firebrand' and C. terminalis 'Ti'. C. australis is more like a desert plant than its cousin C. terminalis, but it's less interesting. Over time, cordyline tend toward leginess: the best solution is to trim individual stems back in a staggered pattern. A mature, well-trimmed C. terminalis should have stems of various heights, up to 3–4 ft., and be clothed in leaves to the soil level. These are jungle plants, so if you're experiencing leaf drop, try raising both temperature and humidity.